Just Listed :: Renovated Ranch in Alpharetta! Welcome Home! Located on a great street, this home has been totally transformed thanks to a wonderful renovation. The custom features and charming character of this home will never go out of style. 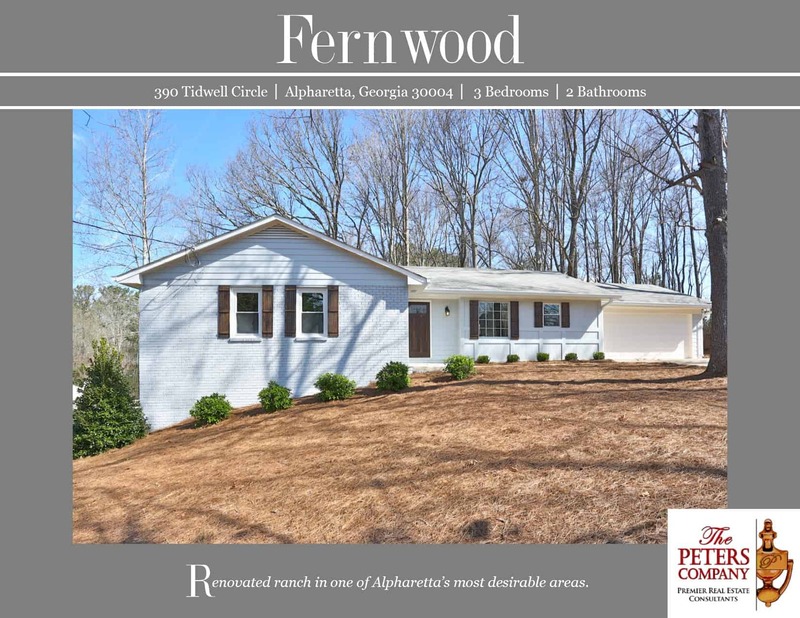 The close proximity to Windward Parkway, GA400, and Highway 9 makes it convenient to and from any direction. You will love being close to everything with easy access to the other highways, byways, shopping, and restaurants surrounding North Point Mall, the Avenue Forsyth, and the new Avalon development. · Thoughtful craftsman touches and custom features throughout. · Single level living with a great flowing floor plan. · Kitchen features granite counters, stainless steel appliances, and spacious breakfast area. · Oversized living room boasts neutral colors and large gas starter fireplace. · Master suite is a true retreat including a large closet and bathroom with double vanity and tiled bathtub and shower. · Updated hall bathroom with tile bathtub and shower. · Gleaming new floors and beautiful molding throughout home. · Wonderful outdoor space includes a deck overlooking a large backyard. · Unfinished basement is waiting for your ideas. ← Just Listed :: Beautiful Home in Buckhead's Castlewood!